Transformation of the Day: Lola 37 pounds. She was tired of the merry-go-round of yo-yo dieting. Plant based eating, better food choices and regular exercise led to a lasting lifestyle change. 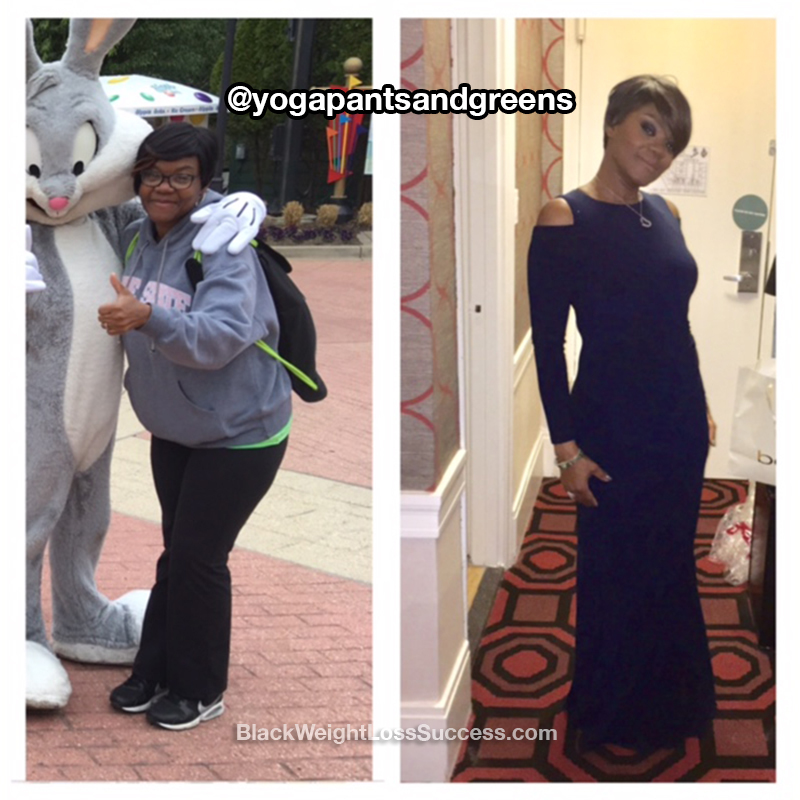 Check out her transformation story. At my heaviest, I was a size 12. I was caught on the merry-go-round of yo-yo dieting and fluctuating between a size 8 to a 12. I wanted to be healthy and feel vibrant. I was also tired of losing and gaining. I did a 21 day juice cleanse after watching the “Fat, Sick and Nearly Dead” Documentary in 2013. I lost about 20 pounds and felt amazing. However, I was not committed to a lifestyle change and went back to eating the same way I had previously after the cleanse. Over the course of 2 years, I gained all the weight back. I did another cleanse in 2016 and decided not to add animal products back into my meal plan after that cleanse. I wanted to see if this would make a difference for me. I decided to make a commitment to this lifestyle change, because I loved how I felt with better food choices. My meals consist of plant based, whole foods. This is the best I have ever felt. I cook 90% of my meals and I eat clean 90% of the time. I walked daily for 3 to 5 miles for the first year. I weighed 187 pounds when I started and now I weigh 150 pounds. I’m 5 ft, 5 inches tall. I started my Journey in May 2016, so it’s been almost a year. from processed and fatty foods. Today, I am a Certified Health Coach and will complete my Holistic Nutrition Certification in April 2017. I love helping others meet their goals. PS: She shares lots of awesome food photos like this one. What juice cleanser did you use?